I take you by night, by day take you back. None suffer to have me, but do from my lack. What am I? 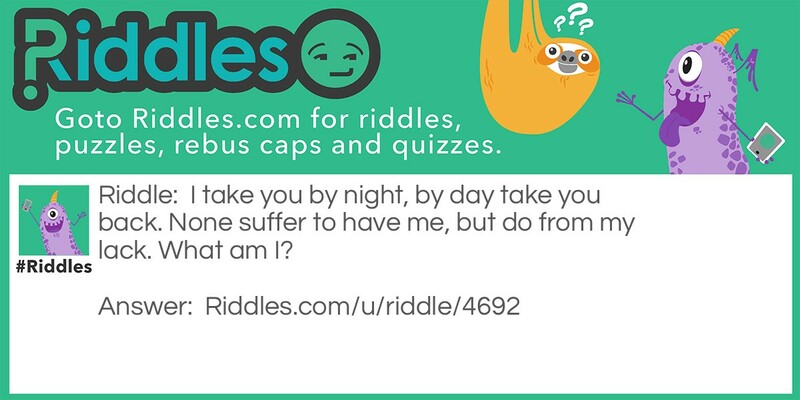 Suffer and Lack Riddle Meme with riddle and answer page link.